Elementa: Science of the Anthropocene is delighted to announce a partnership with Dash, the data publication platform from the University of California Curation Center (UC3), part of the California Digital Library. Elementa authors can deposit their data in UC Press Dash when they submit to Elementa, free of charge. This partnership means that Dash now becomes UC Press’ preferred data platform, and Dash will be developing further features to make the data publication experience as seamless as possible for authors. Note that use of Dash is not a requirement—authors are free to utilize another appropriate and stable domain-specific or general repository. Each landing page and dataset is optimized for search engines. Inclusion of any relevant geo-location information will take advantage of Dash’s built-in geospatial search. Each landing page facilitates re-use of your data and displays the citable DOI so you can get credit for publishing your research data. Accommodates large file sizes – up to 100GB per submission. Functionality that makes your data open immediately, or, keep your data private during the peer review process, and make it publicly available only if your article is accepted and published. Once your data have been submitted you will receive a citation for your data to include in your Elementa Data Accessibility Statement (which is a required section in published Elementa articles). For those attending the American Geophysical Union (AGU) Fall meeting in New Orleans, December 11-15, 2017 – stop by the DataCite/DataONE booth, featuring Dash and Elementa: Science of the Anthropocene, to learn more. UC Press Dash will soon be available for additional journals published by UC Press, including Case Studies in the Environment (www.cse.ucpress.edu), and Collabra: Psychology (www.collabra.org). 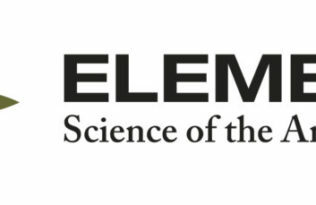 A trans-disciplinary, open access scientific journal, Elementa: Science of the Anthropocene publishes original research with the ultimate objective of accelerating scientific solutions to the challenges presented by this era of human impact. University of California Press is one of the most forward-thinking scholarly publishers, committed to influencing public discourse and challenging the status quo. At a time of dramatic change for scholarship and publishing, we collaborate with faculty, librarians, authors, and students to stay ahead of today’s knowledge demands and shape the future of publishing.